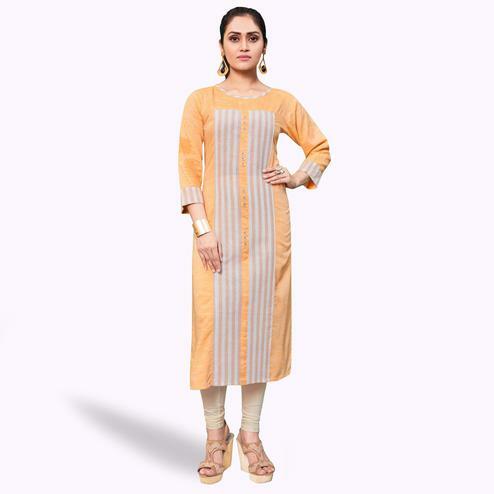 Simple and elegant looking stitched kurti is here in beige color fabricated on cotton. This kurti is lightweight and soft towards skin which is easy to carry all day long. Pair this up with matching colored leggings and heels to make your look more attractive. This kurti is perfect to pick for casual wear, office wear, weekend get-together, kitty parties and events. 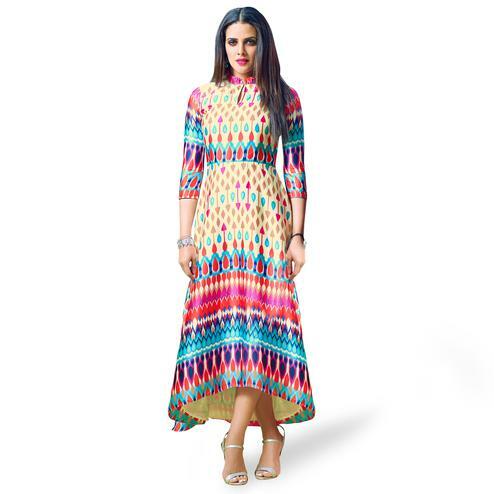 Get this kurti now before it's gone out of stock.